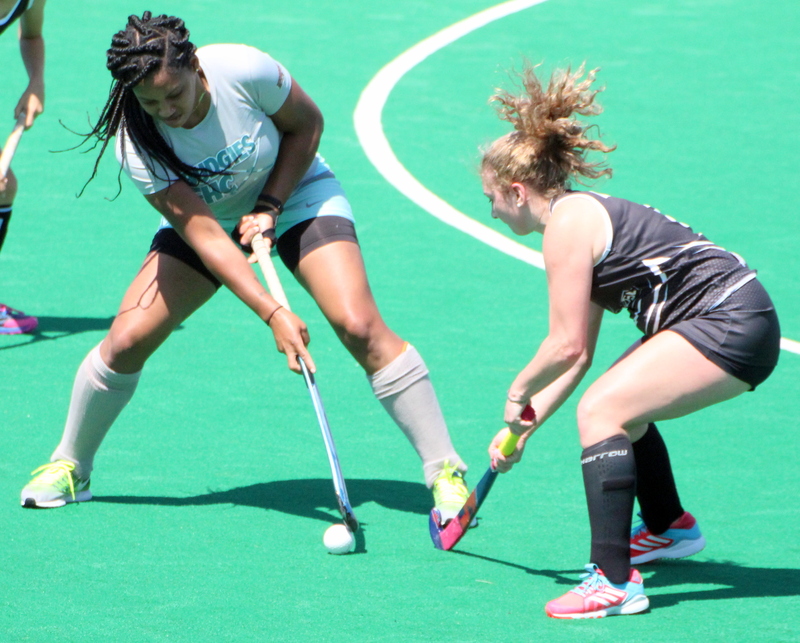 A triple header of Bermuda Field Hockey League action took place at the National Sports Center that produced 34 goals in total. The Budgies would score seven unanswered goals as they defeated their biggest rivals Ravens 7 – 0. Kascia White and Selina Whitter both scored twice, while Sydney Fisher, Keishae Robinson and Robin Stempel all added a goal each. Budgies were led to victory by Angie Dunstan who scored five times, Selina Whitter and Sam Davies both scored twice, while Taylor Mullan and Lizzie Davidson added a goal each. Dominique Brown scored the two goals for the Sand Pipers. Abbie Fernands led the Canaries to victory scoring five times in their 14 – 0 win over the Sand Pipers, Taryn Mallett added a hat-trick, with Megan Jackson, Liz Duncan and Sierra Brangman all added two goals each.